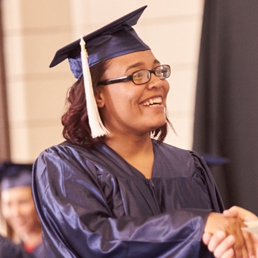 Blended Learning Academies Credit Recovery High School is a Michigan-based tuition-free public school academy. We aim to individualize each student’s learning plan based around Common Core State Standards through our use of one-to-one technology enriched instruction. Our goal is to focus on students and have them take ownership of their learning, which is guided by highly-qualified teachers within their content fields. Our students’ success will be based on individualized support for them; appropriate, challenging education; and a collegial environment where every child can reach his or her potential. We are prepared to give each student the utmost in academic excellence, as well as provide the life skills that will serve our students upon entering our global community. We are proud members of our community and value the time and dedication volunteers give to help support our students. Without the help of local neighbors and friends, we would be unable to offer exceptional learning opportunities to our students. Our trained staff provide individual learning plans for students who don’t fit in the traditional high school format.